Put Diesel in your petrol car? Put Petrol in your diesel car? Put the wrong fuel in you car in Oxford or the surrounding towns? 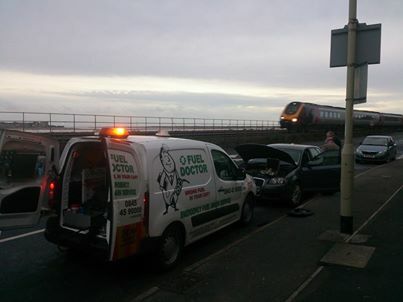 Don't worry we have a Fuel Doctor right near you! 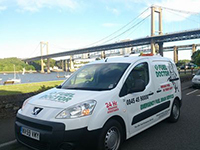 Our Oxford fuel drain technicians are on standby for you. If you've put the wrong fuel in your car in or around Oxford don't hesitate to get in touch with Fuel Doctor, the nation's best emergency fuel drain service, today. Whether you've put petrol in your diesel in your petrol car or petrol in your diesel car one of our qualified local engineers in Oxford can assist you. 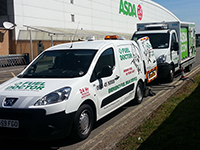 We have Fuel Doctors covering all the local areas in and around the whole of Oxford. 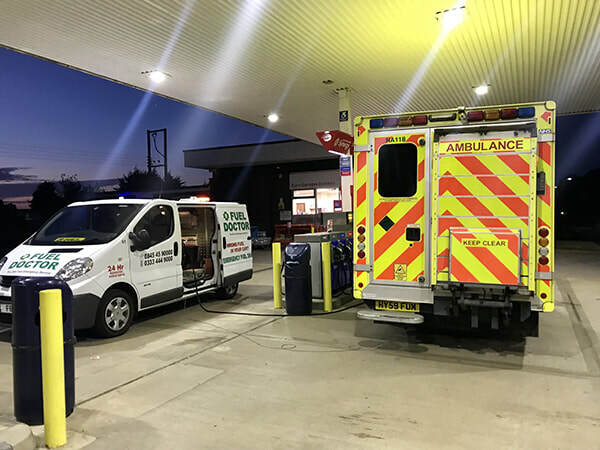 We are available 24hrs a day and we can be with you any where in Oxford within the hour and the fuel drain process can take anything from 15 minutes to 30 mins and we even give you enough of the correct fuel to get you back on the road again. "Fuel doctor are great! I put 10 litres of petrol in my diesel in Wytham, Oxford last night, phoned them at 8am after my insurer couldn't help me, the guy that came was polite, honest, and very professional. I drove my car again today and it works fine! Definitely recommending this company as soon as this happens to anyone I know. There are many instances of people putting the wrong fuel in their cars, and when it comes to Oxford, it is no different from the stories we hear from all over the country. Here are a couple of examples of real customers that had put petrol in their diesel car or wrong fuel in their cars." "As a young driver who was two days away from a long distance road trip to see my other half, you can imagine how distressed I was after making the mistake of filling my petrol car with diesel whilst travelling through Oxford. I cannot thank Fuel Doctor enough for his exceptionally friendly service and reassuring advice, and successfully fixing my little Nissan Micra within a half hour." No matter where you are in the Oxford area, we have a Fuel Doctor near you. We will be with you within the hour and with you for around 15 minutes for the fuel drain. Don't panic, just call us. Everyday roughly 120 people will put the wrong fuel in their car in the Oxford area, whether its diesel in petrol or petrol in diesel. It's a very common mistake and easily done, we understand that you need us there fast and to get back on your feet to get on with you life. 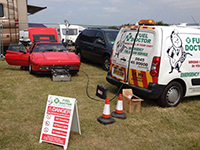 Fuel Doctor are a national company with technicians in Oxford on standby. If you have put the wrong fuel in your car you can call us anytime of the day and you will have a dedicated local Fuel Doctor from the Oxford area to get you back up and running. Mr Soul accidentally put 20 litres of petrol in his Golf TDI at a filling station in Wheatley, Oxford and stalled on his way home. He was recovered home by the AA, we made it out to him, drained the tank, 10 litres added and the engine was running fine. Another happy customer for Fuel Doctor Oxford. This customers fuel tank burst in Banbury near Oxford, so we drained the tank so that he get the van repaired. We got a call from a customer in Banbury near Oxford that he had put 30 litres of petrol in his car at the Tesco fuel station. We were on hand in no time to get him back on the road and back to work, he was very pleased with our Oxford and Banbury fuel drain service. We were called to an ambulance fuel drain recovery in Banbury Oxfordshire. We had to drain 15 litres of Petrol from the Emergency Ambulance. Even the emergency services need rescuing sometimes​! 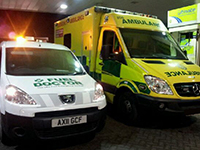 The ambulance was unable to be moved from the pump so the fuel pumps was switched off by staff for safety.